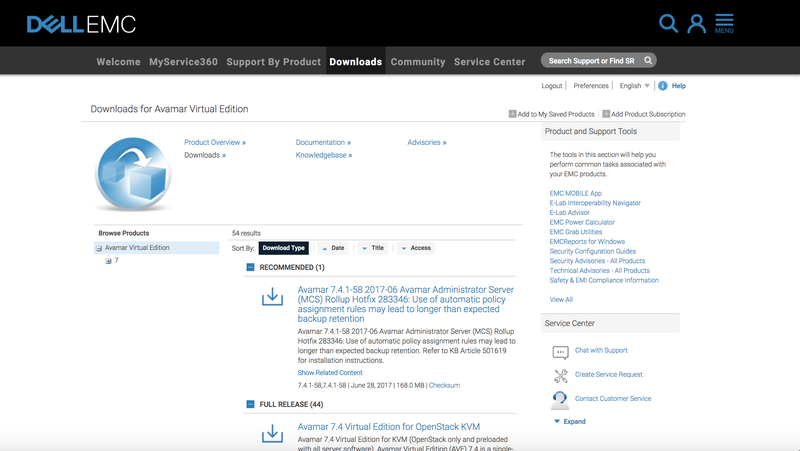 Dell EMC has provided a Virtual Edition of their flagship backup product Avamar for some time now. Avamar is an enterprise backup software that allows you to back just about anything, which includes full image based backups of VMs within VMware, physical Windows, Linux, Unix, Hyper-V, and application consistent backups (Exchange and SQL). 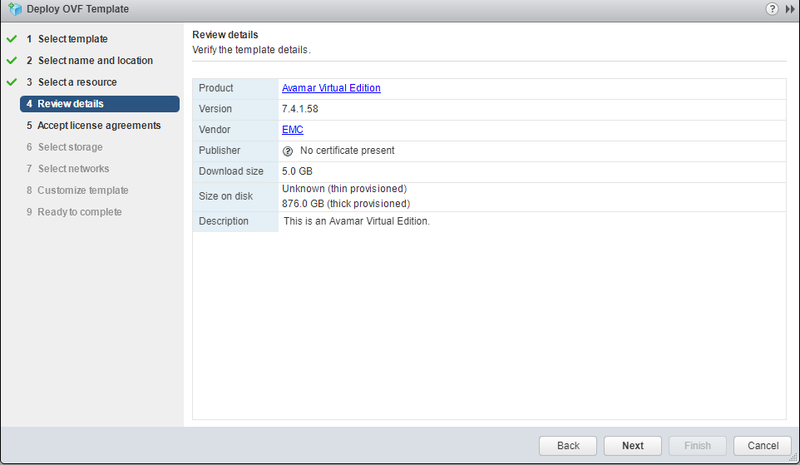 I’ve known about Avamar Virtual Edition for a few years now, but i’ve just now had a chance go try it out! The Virtual Edition allows users to quickly provision a Virtual Edition of Avamar instead of utilizing physical hardware. The Virtual Edition comes in 0.5TB, 1TB, 2TB, and 4TB capacities. 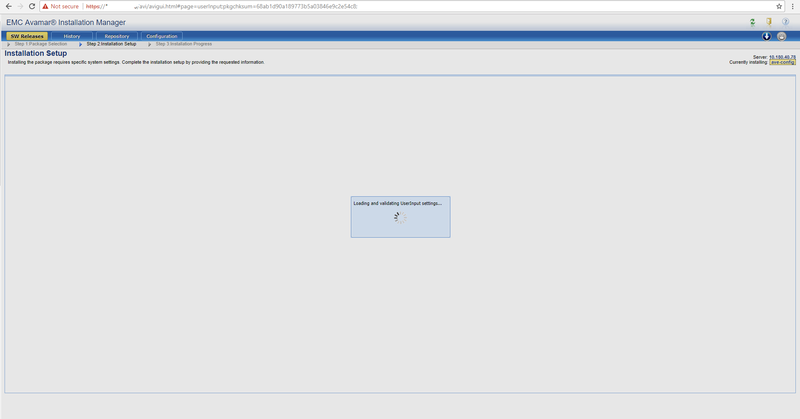 This is intended for smaller workloads, remote branch offices, or Metadata only nodes. If you need something larger than this, look at getting one of their larger physical appliances. The virtual edition installs quickly, and in my opinion, is easier to maintain long term since you have a virtualized VM, which gives you all the benefits of virtualization. No longer do you have to worry about managing a physical appliance that has component failures and takes up power/cooling; rather, now you have a VM that can be migrated, backed up, and even deployed in the cloud! The download and install took me less than 1 hour, which is pretty quick considering how powerful a product Avamar is. First the requirements. 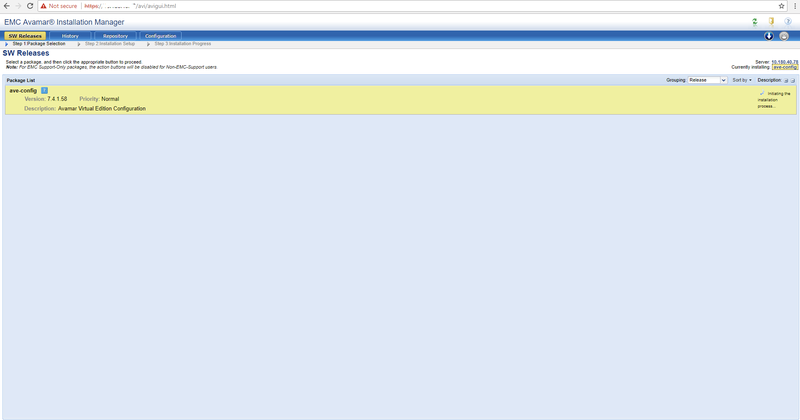 According to Dell EMC’s website, here at the requirements for AVE.
Once you have confirmed the appropriate resources based on the size needed for your environment, login into EMC Support Portal and go to downloads, then Avamar. Once you get there you can select your version to download. 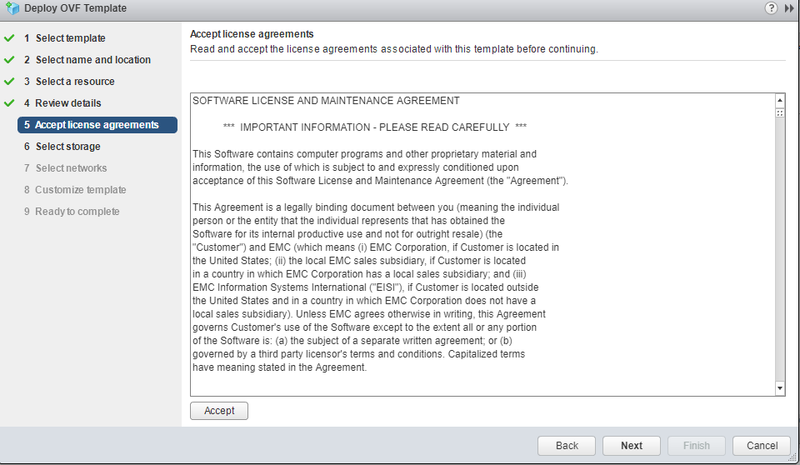 *Note in order to download, you will have to have a support portal login If you don’t have one, reach out to your EMC rep in order to get assistance. Note, the download gives you a 30 day trial to try the product out. 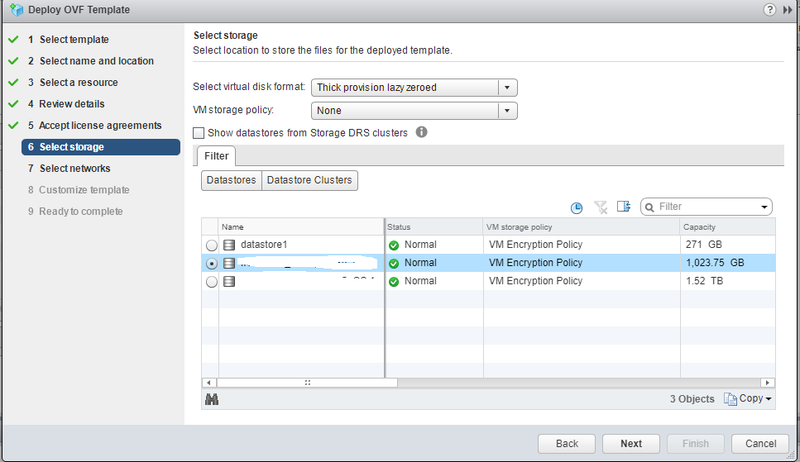 Once you have the OVA downloaded, login to vSphere and select Deploy OVF Template. Hit browse, then select the recently download OVA file. 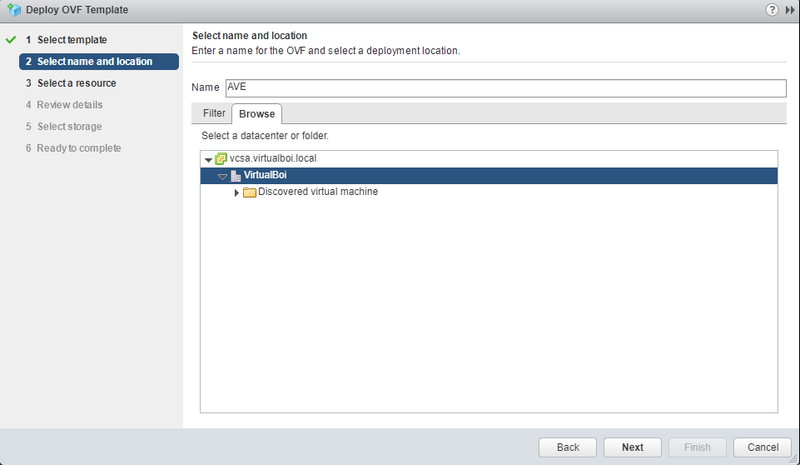 Name the VM and select the Datacenter and location. Select the host you wish to deploy AVE on. 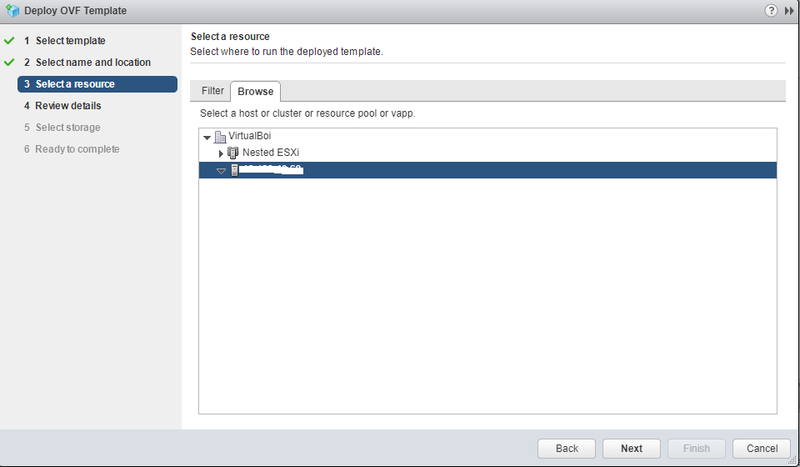 Select the appropriate datastore to deploy the AVE. 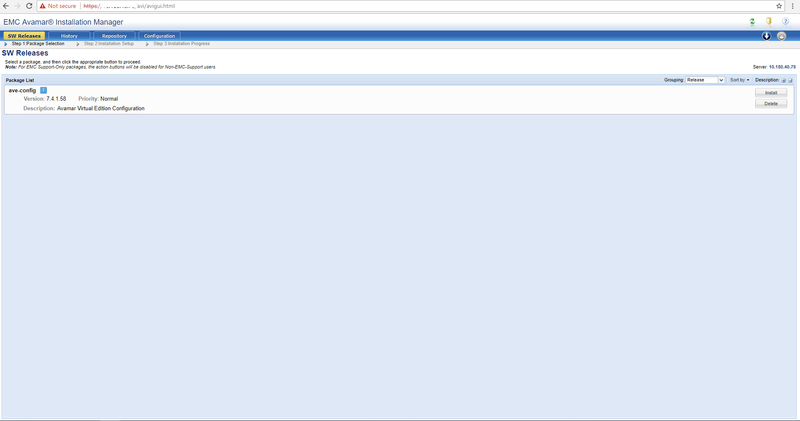 Remember to select a datastore with enough capacity. Capacity with depend on your license and storage setup. 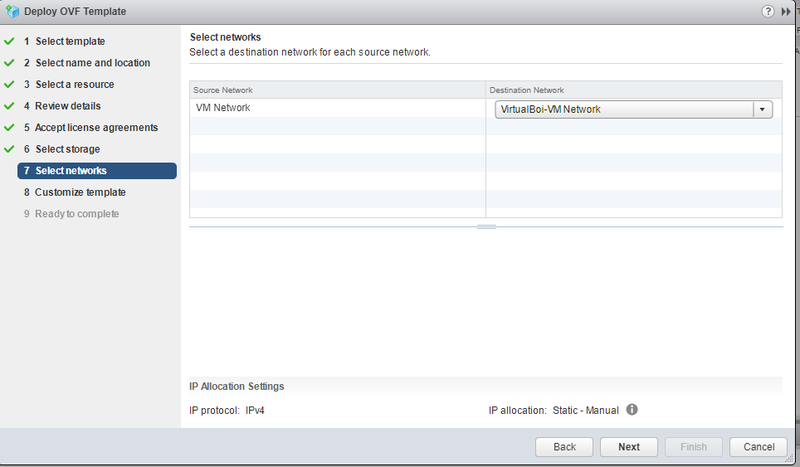 Depending on which AVE you deploy, you have to add additional disk to the VM for the AVE to have it’s total capacity. Since this is a trial and a lab, I went with the default 0.5TB AVE, which consumes 900GB of disk space within my datastore. Provide your DNS, IP, FQDN, etc. Finish customizing the template and hit next. Once that’s completed, hit finish. Once you hit finish the package will deploy. The progress bar will progress. Wait until the package finishes deploying and reaches 100%. 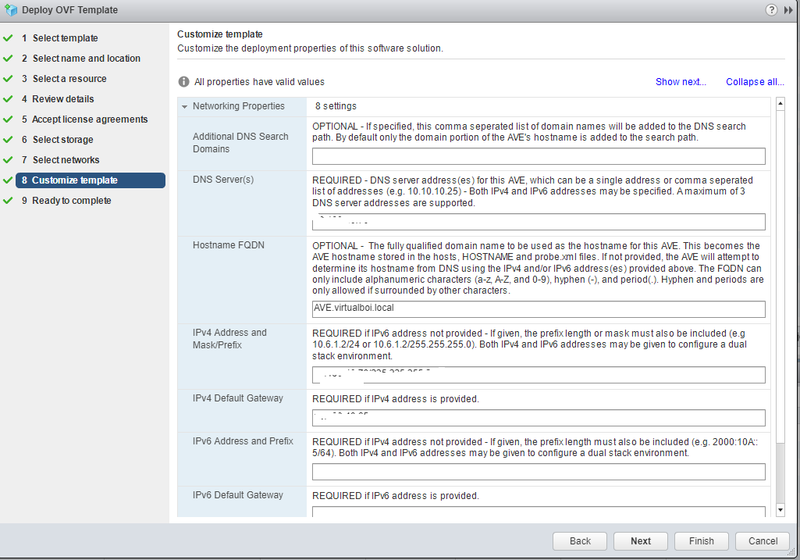 Once completed, right click and power on the AVE within your VMware inventory. You will see the installer configuring the AVE for the first time. This is only one part of the process. 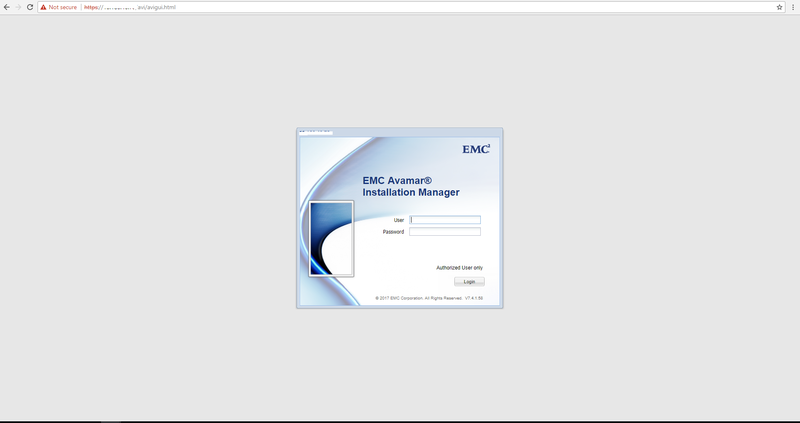 We now have to install Avamar on the AVE itself to finish the configuration. This is required to finish the setup process. The splash page should appear. Type the default root for the login, and the default password changeme. 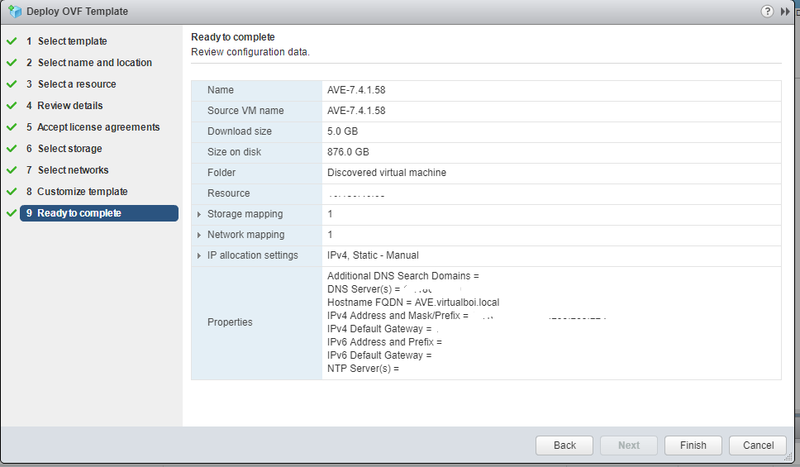 Click install on the ave-config under SW Releases. Initiating the installation progress now shows under progress description. Go through the installation Setup and provide all of the information within the above tabs. This includes Email, license upload, password, customer contact information, server settings, etc. Once completed hit the continue button on the lower right hand corner. Settings will validate and the installation will continue. 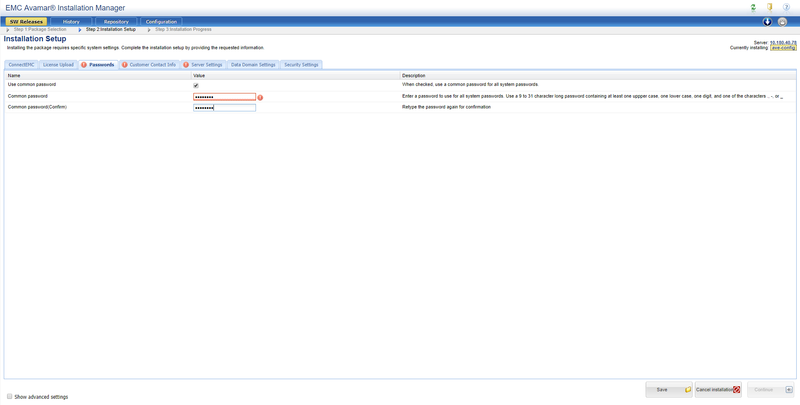 Loading and validating User Input settings now appears. The system now will go through and install Avamar Virtual Edition. This may take some time, depending on your storage performance, etc. You will see several updates on the screen. Once completed, the ave-config will show completed. 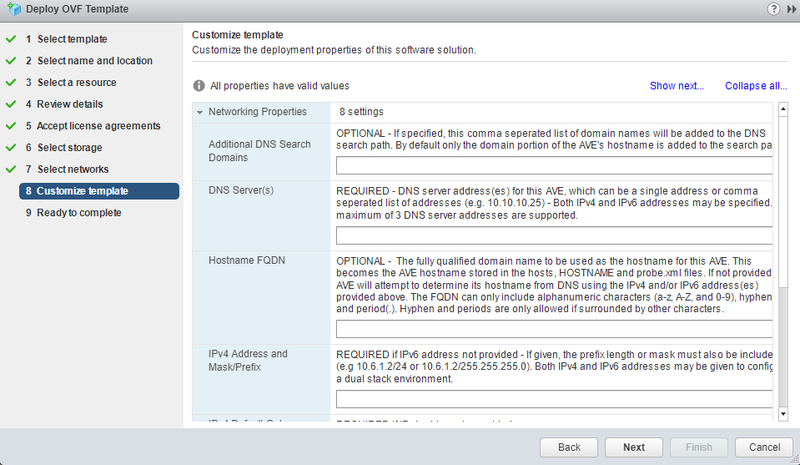 This concludes the installation of AVE. On the next blog, we will show you how to login. Stay tuned for part two!